Probably the Easiest Column Covers to Install Found Online! Being made of vinyl, Snap Together Post Covers are dent and are maintenance free. Vinyl Post Covers have UV inhibitors built in to prevent fading and oxidation. They come in a warm white and do not require painting. 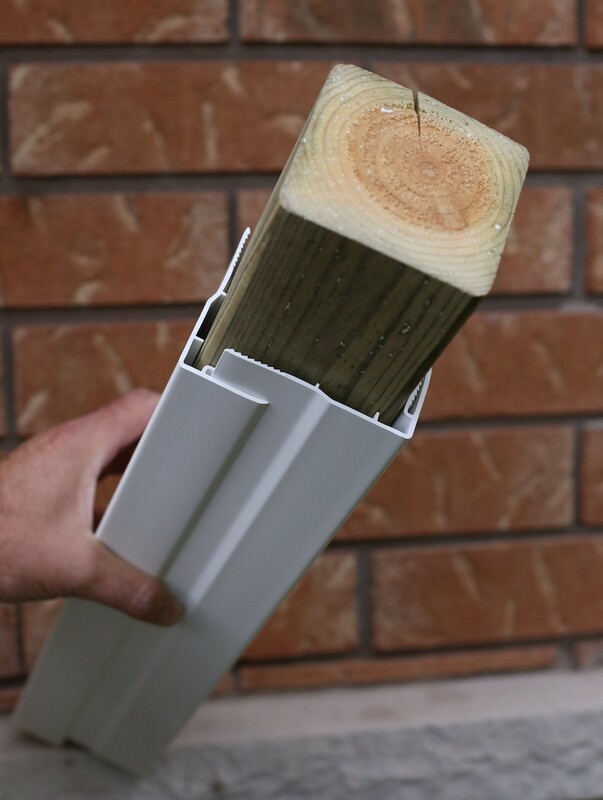 As the name implies, our Vinyl Post Covers are a “snap” to install. They are sized to cover any 4 or 6 inch wooden post up to 12 feet tall. 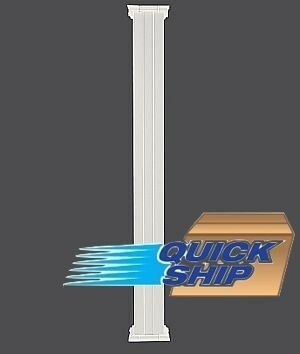 The maximum length we can ship through UPS is eight feet. Simply compress the 4 sections together around you post and you are done! The shaft “snaps” or locks in place, no glue required. They also come with an oversized cap and base that you can trim to size on site. In fact the only tools you need are a saw to trim the cap and base and either a nail gun, hammer or glue to fasten the base and cap in place.